Beginners focus on learning trading strategies. Struggling traders focus on changing strategies. Experienced traders work on their psychology. Here’s 5 engaging TED talks on psychology. While these talks are not for traders, their ideas are highly relevant for a successful trading mindset. Kelly McGonial presents a series of experiments to show that stress is not as bad as the belief that stress is bad for you. She talks about changing our perception of stress and the need for social support. Both ideas are useful for improving our trading psychology. Changing what you think about stress is the way to become a less anxious and more confident trader. Most traders go through a stage when they choose among a variety of trading approaches. They have a universe of trading strategies to choose from. Is that really a good thing for your psychology? Barry Schwartz says that in life, more is not always better. The same applies to trading. Simplify and limit your trading field to avoid decision paralysis. Become a happier trader. If you think you are not smart enough to succeed in trading? You need to watch this talk. Get to know 8 success factors distilled from 500 interviews, in just 3 minutes. There’s no excuse not to click play. Success in trading is not exceptional. It is the result of the same factors that lead to success in other challenging fields. Psychology plays a main role. Angela Duckworth shares that the best predictor of success is grit. The theory of grit is about the stamina to continue through failures. It is the marathon psychology. Due to its probabilistic nature, a common phrase in trading is “in the long run”. We get results in the long run. Our trading strategies will work in the long run. You will be profitable in the long run. For most people, there is no longer run than a marathon. This talk on passion and perseverance is extremely relevant to struggling traders. Persisting in spite of losing trades, failed strategies, and busted accounts is essential for trading success. Trading is a series of decisions. For day traders, it is a series of rapid decisions. At times, we screw up. Why? It is clear that Dan Gilbert’s talk is relevant to trading. He uses Bernoulli’s idea of expected value as a framework for his discussion, which includes errors in assessing odds and value of outcomes. Knowing why we make bad decisions is the first step to correcting them. I’m sure you can relate your trading decisions with some of the experiments Dan Gilbert mentions. Improve your Trading Psychology – Don’t Just Watch, Apply. Don’t simply watch, marvel, and close the window. Go through each talk slowly. Identify relevant lessons for your trading process. Think about concrete steps you can take to improve your trading psychology. There is little doubt that psychology is important for traders. However, don’t fall into the trap of thinking that psychology is everything. You still need a trading edge. 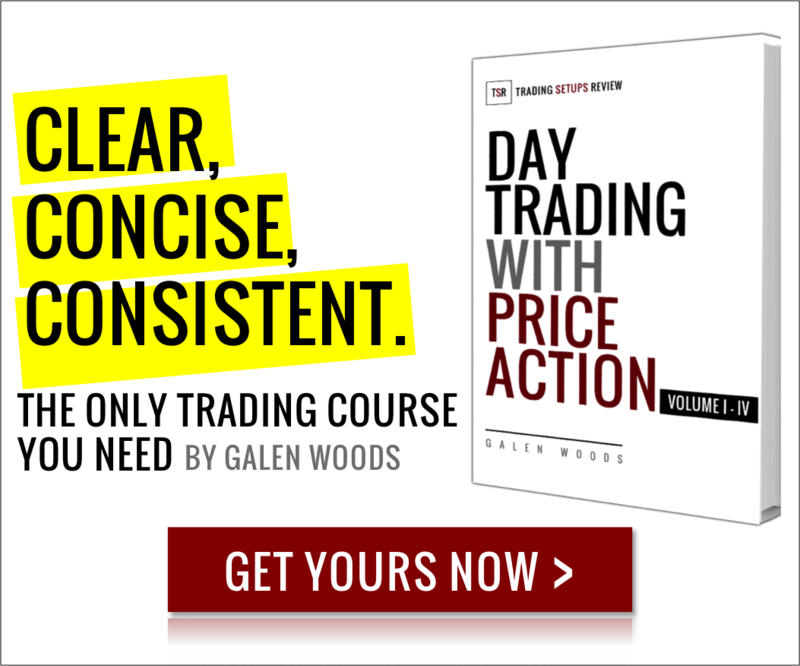 Need a complete trading approach that includes both strategy and psychology? Click here.